GTK’s support for loadable modules dates back to the beginning of time, which is why GTK has a lot of code to deal with GTypeModules and with search paths, etc. Much later on, Alex revisited this topic for GVfs, and came up with the concept of extension points and GIO modules, which implement them. 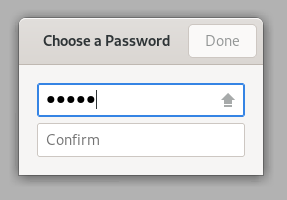 This is a much nicer framework, and GTK 4 is the perfect opportunity for us to switch to using it. We no longer support general-purpose loadable modules. One of the few remaining users of this facility is libcanberra, and we will look at implementing ‘event sound’ functionality directly in GTK+ instead of relying on a module for it. If you rely on loading GTK+ modules, please come and talk to us about other ways to achieve what you are doing. Print backends are now defined using an extension point named “gtk-print-backend”, which requires the type GtkPrintBackend. The existing print backends have been converted to GIO modules implementing this extension point. Since we have never supported out-of-tree print backends, this should not affect anybody else. Input methods are also defined using an extension point, named “gtk-im-module”, which requires the GtkIMContext type. We have dropped all the non-platform IM modules, and moved the platform IM modules into GTK+ proper, while also implementing the extension point. Since we still support out-of-tree IM modules, I want to use the rest of this post to give a quick sketch of how an out-of-tree IM module for GTK+ 4 has to look. There are a few steps to convert a traditional GTypeModule-based IM module to the new extension point. The example code below is taken from the Broadway input method. Note that this macro defines a gtk_im_context_broadway_register_type() function, which we will use in the next step. In order to be usable as a GIOModule, a module must implement three functions: g_io_module_load(), g_io_module_unload() and g_io_module_query() (strictly speaking, the last one is optional, but we’ll implement it here anyway). GTK+ will still look in $LIBDIR/gtk-4.0/immodules/ for input methods to load, but GIO only looks at shared objects whose name starts with “lib”, so make sure you follow that convention. Now GTK+ 4 should load your input method, and if you run a GTK+ 4 application with GTK_DEBUG=modules, you should see your module show up in the debug output. Yesterday, we released GTK+ 3.92.1, 重庆市. Since it has been a while since the last 3.91 release, here is a brief look at the major changes. This release is another milestone on our way towards GTK+ 4. And while a lot still needs to be done, this release allows a first glimpse at some of the things we hope to achieve in GTK+ 4. Much of the work since the last release has gone into GSK. The Vulkan renderer is now close to complete, as far as avoiding cairo fallbacks goes. The only missing piece are blurred shadows (admittedly, an important piece). One major step forward since the 3.91.2 release is that we no longer use cairo fallbacks for all text. Instead, text (in labels and entries, sadly not in text views yet) gets translated into text nodes. Each text node contains a PangoGlyphString and a PangoFont. The Vulkan renderer uses a glyph cache to avoid re-rendering the glyphs for each frame. The internal logic of the Vulkan renderer has been reworked to use textures instead of cairo surfaces for intermediate results and thus avoid more cairo fallbacks. Other node types that have gained support in the Vulkan renderer include blurs, repeat nodes, blend modes and cross-fades. In some cases, the shaders we use are very naive implementations. Help with improving them would be more than welcome! As a first example of what we can do with render nodes, we have implemented a blur-under feature for GtkOverlay. This works by capturing the ‘main child’ of the overlay as a render node, and then reusing it several times, with the right clipping, and sometimes with a blur node. To help you explore GSK, the inspector now shows Vulkan information and the recorder shows a lot more information about render nodes. On the input side, events have gained accessors, and we are no longer accessing their fields directly. This is an intermediate step, cleaning up events is still a work in progress. 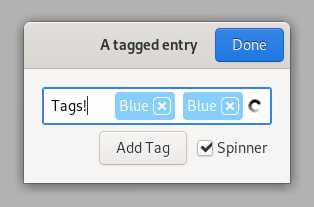 We have moved the traditional widget signals for events (such as ::key-press-event) to an event controller, and most widgets inside GTK+ have stopped using them altogether. We have switched over to using Meson exclusively for GTK+, and the 3.92.1 release is the first one done using Meson’s dist support. To get the release out the door, we also had to port the documentation, the test suite and the installed tests to using Meson. There are still some rough edges (we don’t get all dependencies 100% right), but overall, Meson worked out well for us. Of course, everybody loves Emoji, and the same color Emoji support that has landed in GTK+ 3.22 is also available in this release. Beyond that, font support in CSS has improved a bit with support for the CSS3 font-variant property. Of course, this relies on fonts that have the corresponding features. With GTK+ 3.92.1, it should be easy to try some of these things out for yourself. And if you’ve always wanted to get into GTK+ development but never found the right opportunity, now is a great time to get involved! 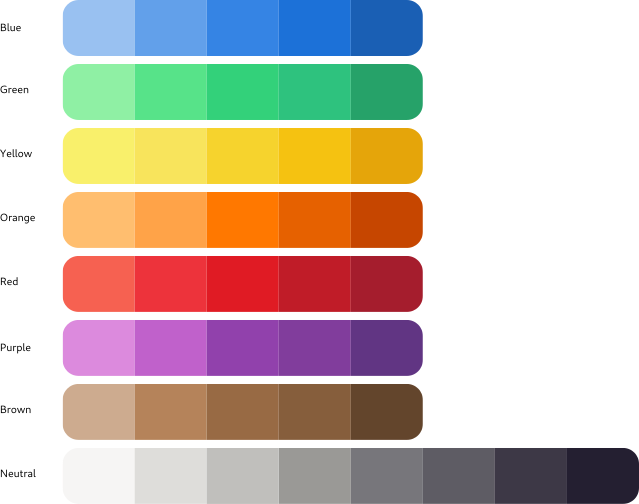 A few years ago, I wrote a post about scrolling in GTK+ 3. Time for another look! The basic idea of the changes described back then is still the same. We expect touchpad (or track point) scrolling to be one of the most common forms of scrolling, and the scrollbar operates as a narrow indicator for this. As you can see, we change the cursor to indicate scrolling, and it you can freely scroll in all directions. It is kinetic, too. Of course, it is still possible to just click and drag the slider, for classical scrolling. Another aspect of ‘classical’ scrolling is that you can click on the trough outside the slider, and either warp the position to where you clicked, or jump in page-size increments. By default, a primary click warps, and Shift-primary click goes by pages. We just added back middle click as an alternative to Shift-primary click, since this is a common alternative that many people are used to. 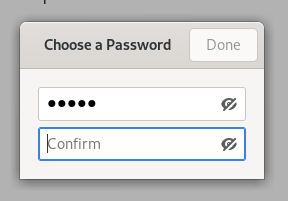 For mainly historical reasons, GTK+ has a setting, gtk-primary-button-warps-slider, which switches the roles of primary click and Shift-primary click for this. The typical keyboard shortcuts (Page Up, Page Down, Home, End) let you control scrolling with the keyboard. There’s more to scrolling in GTK+ that you may not know about. One feature that we introduced long ago is a ‘zoom’ or ‘fine adjustment’ mode, which slows the scrolling down to allow pixel-precise positioning. To trigger this mode you can either use a long press or shift-click in the slider. As you can see in the video, once you move the pointer below or above the scrollbar, it will keep scrolling at the same relaxed speed until you let go. As a variation on this theme, more recently we added a variable speed variant of smooth scrolling. To trigger it, you secondary click in the trough outside the slider. Once the scrolling starts, you can control the speed by moving the pointer closer or farther away from the scrollbar. This is pretty addictive, once you’ve discovered it! As the last feature, applications can add a context menu that gets triggered by secondary click on the slider, and make it scroll to important positions. 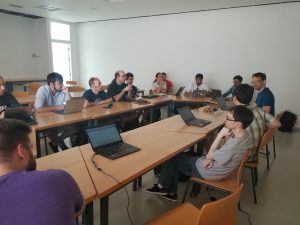 Last week at GUADEC in Manchester, the GTK+ maintainers and interested folks met for a working session during the unconference days. Georges already did a nice job summarizing the results in his blog post, which you should read (if only to see some pictures of the assembled GTK+ folks). We did briefly discuss GTK+ 3. Our impression is that most people are enjoying the stability that came with GTK+ 3.22 and are not in a rush to jump on a new, less stable toolkit version. The general consensus was that we should maintain a pretty strict stance on API additions in GTK+ 3, but allow new features in when their is a high enough benefit. Examples for this that came up are the client-side versus server-side negotiation protocol support for Wayland, or color emoji support. The bulk of the time was devoted to discussing all the things that we want or need to complete for GTK+ 4. We have a pretty good idea who is going to work on each of these items, but we did not nail down a very detailed timeline for completing them. Some of these bullet points deserve a more detailed discussion. Layout with constraints is a flexible system, and it has been successful on other platforms. More importantly, it is much closer to the way most humans thing about laying out things on a screen or piece of paper, and it will hopefully provide a common language that designers and developers of GTK+ applications can communicate in. The Emeus widget that Emmanuele and others have been working on for a while is using constraints to find positions and sizes for child widgets of an individual container. The plan for integrating it into GTK+ is a bit more ambitious: We envision a single constraints solver per toplevel that all the containers inside the window add their constraints to. This will require the current containers in GTK+ to express their layout algorithms in terms of constraints, which should not be too hard in most cases, and can be done piecemeal. Christian took some time to describe the shortcuts engine that he has written for gnome builder, which currently lives in libdazzle. It has some interesting features, like capture-bubble event handling, chording (i.e. multi-key sequences such as Ctrl-C Ctrl-X), tight integration with actions, and the ability to automatically generate help for keyboard shortcuts. The plan in this area is to take the best features from Christians engine and turn them into one or more GtkEventControllers. Once this work is complete, we will convert all widgets to use event controllers instead of key-press signal handlers. GtkBindingSet will also be replaced by event controllers. The Vulkan renderer for GSK is more or less complete. It can render most of what the CSS machinery produces efficiently, using shaders. The big exception is text: what happens for text currently is we render it to a surface using cairo, then upload the surface to a texture, and then use that in render node. For every frame. What needs to happen here is that we upload the glyphs we need into a larger texture that we keep around as atlas, and then create text render nodes that refer to the atlas. Since text is a pretty important ingredient in user interfaces, we can’t really claim that we’ve validated the render node approach until we have proper text rendering implemented for Vulkan. Benjamin has done most of the work to get the Vulkan renderer to an almost complete state. While he was doing that, the GL renderer has fallen behind – it does not have the shaders that are used in Vulkan. What needs to happen here is to abstract out the common parts, and backport the rest from Vulkan to its GL equivalent. A not so fun aspect of this is that we may eventually need more than one variant of GL renderer, for legacy GL and GLES platforms. But we can probably get away with just a modern GL renderer, at least initially. Behdad has a rough plan for what needs to be done in pango and fontconfig for supporting variable fonts. This involves new syntax in PangoFontDescription for specifying axis values and new API in PangoFontFamily to obtain information about available axes. During GUADEC, Behdad merged support for color emoji in cairo, fontconfig and pango and I started to work on some simple emoji input in GTK+. 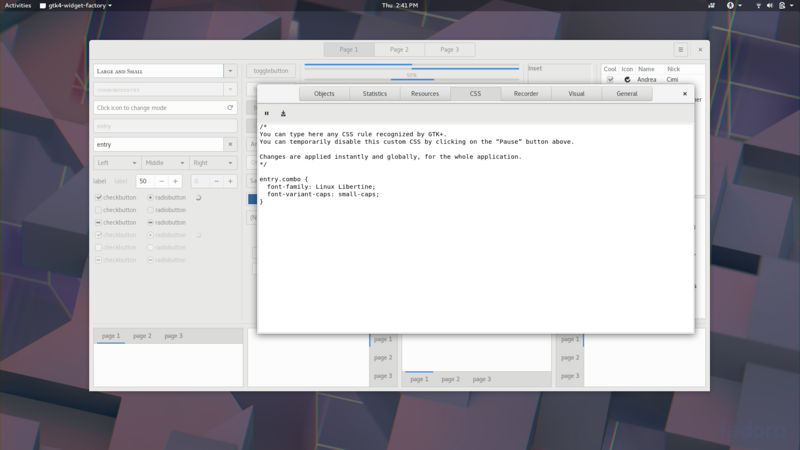 That has landed now too, in both GTK+ 3 and master. We touched on too many other topics to summarize them all here. One of them was the state of accessibility, but that is a topic for another time.